A soft genuine lambs wool wash mitt is an essential piece of kit to any professional detailer or weekend hobbyist. The natural pelt pile will help lift any contaminates that’s on the paint work away and allows for a swirl free wash. Our wash mitt comes with the separated thumb section. This allows for greater control when washing lower halves and under wing mirrors and insures all areas in cleaned properly. 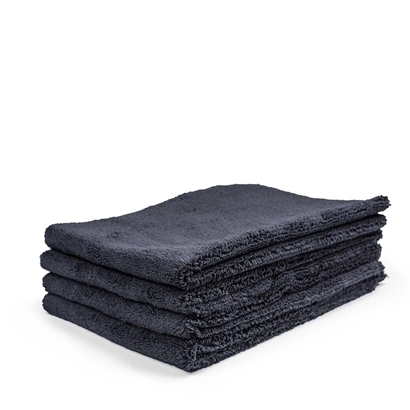 Edgless microfiber towell with dense pile one side and thick plus the other side.